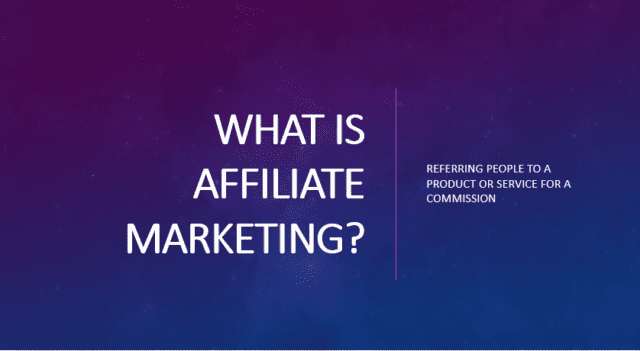 You have probably heard about making money online with Affiliate Marketing and wondering what it is all about and how you can tap into the opportunity. Well, having been doing affiliate marketing for almost 10 years, I will be breaking it down here for your benefit. What follows is a complete guide to affiliate marketing and how you can make money from it. Affiliate Marketing is nothing new. It is simply referring people to buy a product or service in return for a commission from the product seller or service provider. Financial services companies like insurance companies, banks, and asset managers have been using it for decades to build their businesses. They may call their affiliate marketers independent marketers and call the commission, performance bonuses, but take it from me it is affiliate marketing. Affiliate Marketing may have existed for decades, it did not become popular until the internet happened. With the internet and proliferation of web technologies, affiliate marketing became simpler, attracting more interest from people. Affiliate marketers no longer had to go knocking door to door to make a sale. They can simply unleash the power of web technologies to promote the products or services of their clients. The internet also means that you are no-longer restricted to your region to make a sale, increasing potential sales volume. You can sit in Nigeria and sell products to people all over the world and receive your commissions all thanks to web technologies. By now you know I am focusing on online affiliate marketing, because although affiliate marketing can still be done offline, most successful affiliate marketers leverage web technologies. To do affiliate marketing, you need a merchant or a company that offers affiliate marketing opportunity or an affiliate marketing program. Just visit the website of the business and look for a link that says Affiliates, Associates or Make Money. 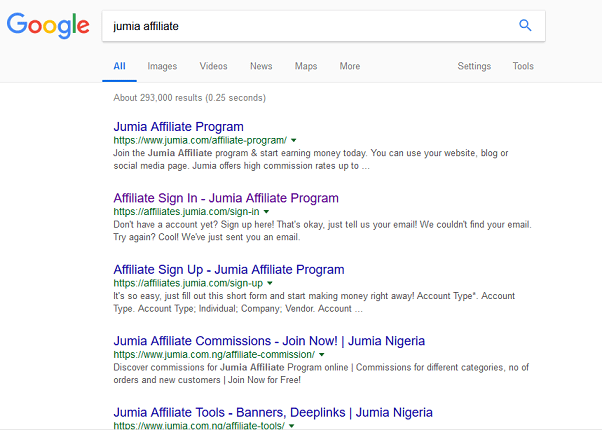 You can also do a Google search of the name of the business followed by the word Affiliate. For example “Jumia Affiliate“. You can also signup with an Affiliate Network like Commission Junction (now CJ Affiliate by Conversant) or ShareASale. These are services that offer a one-stop shop to different affiliate marketing programs. An Affiliate Network can have hundreds of programs to join, making it easy to find affiliate marketing opportunities. The affiliate network offer tracking software that tracks your sales and reports your sales and performance. They also handle your payment. In a nutshell, an affiliate network is like a middleman between merchants and affiliate marketers. When you signup to an affiliate program (whether directly from the merchant or through an affiliate network), you are provided with promotional material which includes a link and / or banner and links. Your job as an affiliate marketer is to promote these links and banners using your blog, social media pages, or online advertising. These affiliate links lead to the merchant website and comes with a tracking code that monitors whether or not the lead buys a product from the merchant. When a person clicks on your promoted link, a signal is sent to your affiliate program’s server notifying them of the referred visit and a small piece of code called a cookie is stored on the computer or mobile device of the user. This cookie comes with a self-destruct timer. The cookie will remain active on your client’s device until the count down hits zero after-which the cookie is deleted. How long a cookie stays active is out of your hands, it is determined by the affiliate program. Cookie timeout for an affiliate program can be as low as 24 hours for programs like Amazon or up to 30 days for programs like Jumia and Gearbest. Some programs can have their cookie active for up to 90 days. You may now be wondering what the lifetime of a cookie has to do with anything. An affiliate sale can only be attributed to you if the cookie is still active on your lead’s device when they buy the product. Let’s say you are a member of Gearbest affiliate program and you shared their link with your friends on Facebook and one of them clicks on your link, a cookie with a 30-day timeout is stored on their device. If the lead buys 20 days after the initial click, the cookie will still be active (10 days to go). The sale will be associated to you and you will earn a commission on whatever product they bought whether or not it was the same product you promoted. Let’s say the scenario is the same as above, but in this case, the lead waits 35 days before buying (i.e. 5 days after your cookie timed-out). Your cookie is gone, the sale cannot be associated to you. No commission for you in this case. So, like I mentioned later in this article, cookie timeout is one of the things to consider when choosing an affiliate program. Choose an affiliate program that gives you a reasonable time to make a sale. Once you make the payout limit of the affiliate program or affiliate network, you will be qualified for payment inline with the payment cycle of the program. I know, you may be wondering whether there are more than one type of affiliate marketer. Though, for most established marketers, there isn’t really any distinction. However, for the benefit of beginners accessing affiliate marketing opportunities for the first time, I find it compelling to create this little distinction. This will enable you know where you are right now and what approach will help you get to success fastest. Traditionally, this is what affiliate marketing is all about. You find a product you like and you use different marketing channels to promote it. You can build a website around the product or niche the product belongs to. You could build social media pages or groups around this product, Create a YouTube channel, buy ads on Facebook and Google, create email marketing, and sales funnel all to drive sale to this product and earn handsome commissions. You could be doing this for multiple products and services simultaneously. As a product centric affiliate marketer, you are all about selling the product or service. You wake-up each morning researching products to sell or strategies to sell more of your current products. You could build dozens of small niche websites each targeted at a product you sell. You may not even have a website at all. You can just buy ads from Social Networks, Search Engines, and other traffic sources to drive traffic to your affiliate products and services. However, make sure that the cost of sale does not exceed sales. You would not want to make $100 after spending $150 in Ads and other sales costs. Content Centric Affiliate Marketers are people who have built an audience by creating regular content online and now use affiliate marketing as one of the ways of monetizing their content creation. You may have a blog about pets or a YouTube channel where you talk beauty. You may even just be sharing your photos on Instagram or Facebook and have amassed loads of fans. Your passion is to share your content and build your brand, affiliate marketing is just one way you make money from that passion. When you wake up in the morning, you are thinking of what new content (text, photos, videos) to wow your audience and build your reputation online. Of course, as you go deeper into affiliate marketing what product that will sell best to your audience will have some impact on your content creation. While, I see product-centric affiliate marketers as professional affiliate marketers, I tend to see content-centric affiliate marketers as accidental affiliate marketers. There is nothing wrong with this, in fact I see myself as more of a content-centric affiliate marketer. As you go on in your journey in affiliate marketing you will at some point incorporate the two approaches to your strategy. Today I use both strategies, though I tend towards content than product. Starting an affiliate marketing program is very easy these day. As a result, there are thousands of affiliate programs from merchants and online stores promising to pay you commissions for sales. While some are scams, many are genuine. Because merchants know that with an affiliate program, they do not have to pay for marketing except you make a sale, they find affiliate marketing a low cost and convenient form of marketing. You have to be alert when choosing an affiliate marketing program. Do not choose a marketing program just because it promises a high commission; do not forget that you will be paid only if you successfully sell a product. When choosing an affiliate marketing program choose one that sell the kind of products and services that you can promote successfully online. To sell a product you have to be convincing. If you are not well vast about a product, you will find it difficult convincing others to buy. If you have a website or a platform (like Instagram, Facebook, YouTube, etc) with an existing audience, you should choose affiliate marketing programs with products or services that will appeal to your audience. Do not choose an affiliate marketing program simply because it pays more commissions as you will only be paid if you can successfully sell the product. 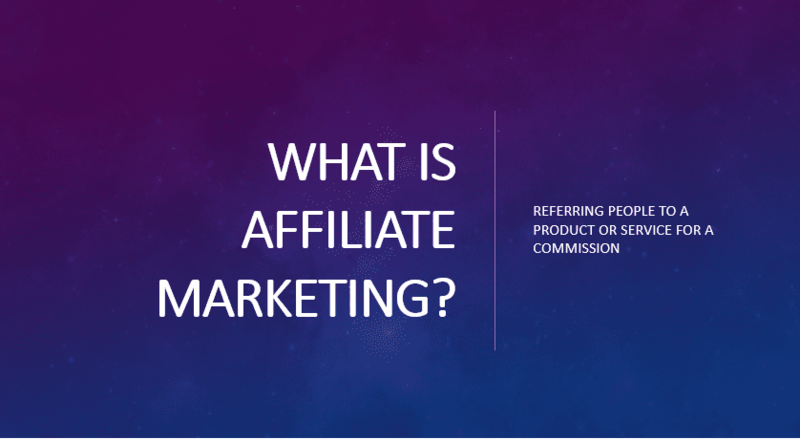 While most affiliate marketing programs support countries like USA, Canada UK, and European countries, some affiliate programs may not support countries like Nigeria or some African and Asian countries. Hence, when choosing an affiliate program choose one that supports your country. You may be tempted to claim you are from another country, but you have to remember that if an affiliate does not support your country, your earnings will not be sent to you in your country. Trying to cut corners, may make it difficult or impossible to receive your earnings. Related to support for country is payment options. If the payment options supported by your affiliate marketing program are not supported in your country, you will not be able to receive your payments. Hence, before selling for an affiliate, make sure you will be able to receive your money. The surest way to receive your affiliate earnings in Nigeria is through wire transfer or direct deposit. Payoneer is also an option. While PayPal is one of the most convenient payment platforms, they do not support receiving payments in some countries (e.g. Nigeria). So, make sure receiving payment is officially supported by PayPal in your country before joining an Affiliate program that has PayPal as the only payment channel. 4. Does it Offer Sale Support? Your affiliate program should help you succeed, after all your success is their success. They must provide you with up to date information about your click-through and sales, so you can easily know what is working and what is not. Your affiliate marketing program should also provide you with information and tutorials on how to succeed in your business. Choose an affiliate that has a blog, user groups and forums that will help you succeed. A good affiliate program should also provide you with sales materials like banners and text links (Marketing and Promotion support), so that you can focus on your main job Promotion. The website of the merchant should also be well designed so that your leads will have a good experience when they get to the website. This will help you sell more. When picking an affiliate program to join, start with merchants with a good reputation. This makes your job easier as all you have to do is point leads at them. Their good reputation will make people to trust them enough to buy, which will result in more sales for you. Choose an affiliate marketing program with a reliable system. The system for tracking orders and sale must be reliable. Do they pay promptly? What is their quality of service? Search on the internet for news and reviews about the merchant you want to join its program and check whether they have positive or negative publicity. Search for the affiliate program of your choice on Google with a scam qualification. Example, you could search GoDaddy Affiliate Scam. What is the minimum balance you must accumulate before you are paid (Minimum Payout amount or Payment Threshold)? How often can you receive Payment (Weekly, Monthly, every two-weeks)? What is the Payment Cycle? i.e. When does accounting for sales gets locked-in and how long from then will you receive payment for locked-in sale. Like I explained earlier, the cookie timeout determines how long from the time you first pointed a lead to an affiliate merchant’s website that a purchase from them will earn you a commission. Cookie Timeout can be 24 hours, one week, two weeks, 30 days, or up to 90 days or even more. You also need to find out what percentage of commission you get for making a sale. 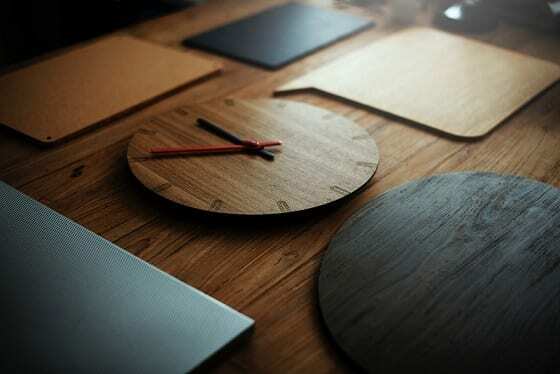 Is it a flat commission on all sale or commission depends on the category of the product. Another thing to be on the look out for is whether the commission is a one-time commission, recurring commission, or residual commission. One-time commission means that you can only earn once for a purchase even if the lead buys again in future using your affiliate link or they keep paying for the ongoing use of the product or service as is the case with subscriptions. Recurring commission means you can earn as many times you bring a lead to the merchant. Residual commission happens usually with some subscription-based affiliate programs. You keep earning commission as long as the lead you brought in keeps paying their subscription. Sometime this may go on indefinitely or within a certain time-frame, say 6 months or 1 year. It is also a good idea to find out different ways the affiliate program allows you promote their products. 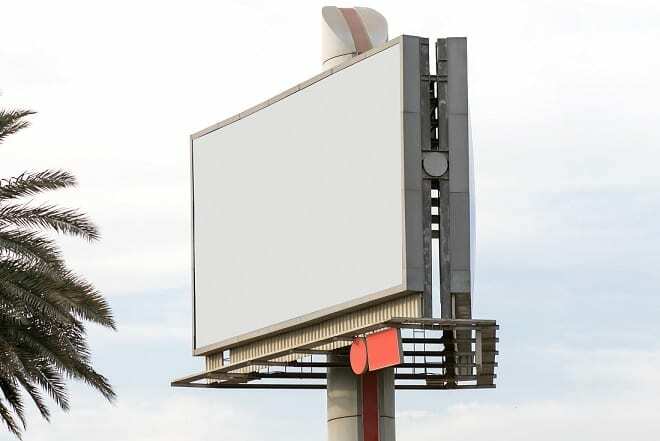 Some may prohibit advertising on Search Engines like Google others may frown against using social media. In a few cases they may not ban Advertising on search engines entirely, they may just disallow you competing for certain keywords in your search advertising campaign. You need to make sure that your methods of promotion are permitted by the affiliate program. A good place to start when you visit an affiliate marketing website is the Frequently Asked Questions FAQ page. A good FAQ will answer all the questions listed here and more. You can promote products and services of your affiliate marketing program using a number of affiliate marketing channels. You could use your website or blog. You could also use social media like YouTube, Facebook, Instagram, Pinetrest, and Twitter. You can buy traffic from sources like Google, Facebook, and YouTube. Part of your campaign may also include email marketing with a sales funnel. For emphasis, I list all the different channels you can use to promote the products and services of your affiliate marketing program. You can promote products and services on an existing website or blog or you can find a product and build a website around it. If you already have a website with a sizable audience, you can start by partnering with affiliate programs that are relevant in your niche. This could help you test and rip success from affiliate marketing faster. If you do not have a website, you just have to build one especially if you intend being in affiliate marketing for the long run. You do not necessarily need a website, but having one gives more control and an advantage. A website is the only ethical way to build your email list, which is the input of your sales funnel that will bring in highly relevant leads. You may not start with a website, but have it in your plan to have at least one website. Most affiliate marketers have multiple websites with each targeted to a niche and used to sell products and services relevant to the niche. A niche website works best with affiliate marketing. It is focused to a niche, hence only people interested in the niche will visit the site, which means they will more positively respond to promotions if they are relevant to the niche. However, do not make the mistake of thinking a niche has to be small. Technology is a niche so is memory card. Fashion is a niche, so is highheel. WordPress is the best platform for building websites and blogs. It is easy to install and has loads of plugins that will enable you build any type of website you want. To build a website, you need hosting services. This can cost anywhere from $10 per month to $30 per month. Checkout my recommendations for best web hosting. You also need a domain name, which can cost you about $10 per year. You can see my list of best services for Domain name Registration. You can setup the website yourself or if you do not want to be bored with the technical details, you can pay a web designer or freelancer to help you with the setup. For information of the cost implications of owning a website, read this comprehensive article about the cost of building a website. Once your website is ready, post relevant content on your website so that you keep your readers engaged and attract more relevant visitors. 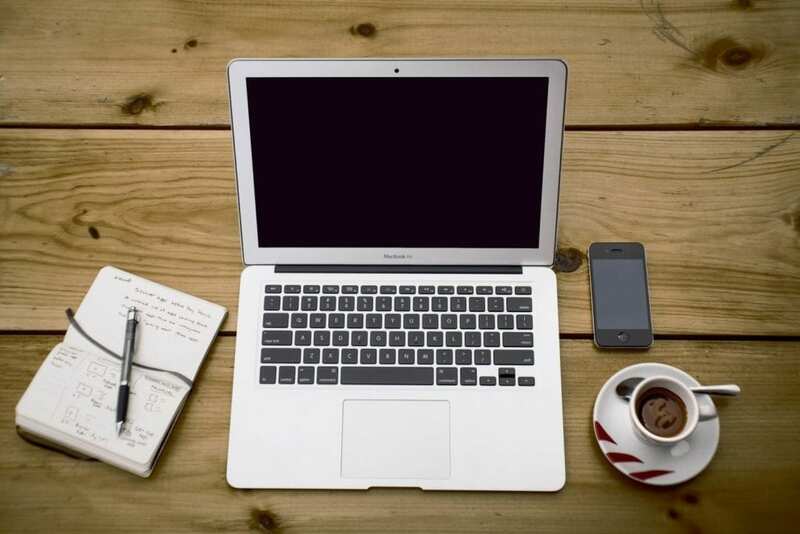 You can do the writing yourself or you can engage a freelance writer to create the content. You should also pay attention to the latest development in search engine optimisation (SEO) to help you attract more search traffic. Do not forget to integrate your website with Google Analytic to get useful information about your audience. In addition register with Webmaster tools from Google, Bing, and Yandex to get some useful information about the SEO health of your website. You should also checkout my detailed article on how to start a blog. Targeted traffic is very crucial to succeeding in affiliate marketing. The more targeted traffic you can drive to your website, the more the sales you can make. 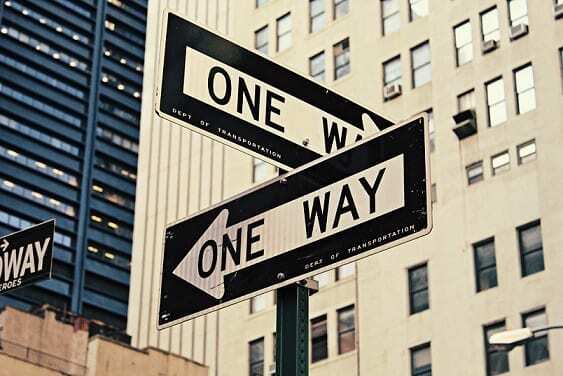 Here are a couple of ways to build traffic to your affiliate marketing website. Search Engine Optimisation enables your website rank better on Search Engines like Google for relevant keywords in your niche. It is all about putting all the right signals in your content and your website to make Google notice it and rank it better for relevant keywords. With a good placement for your website on Google SERP pages, you will attract more visits, which is good for affiliate marketing, especially if it is targeted. SEO is a very important success factor in affiliate marketing and it all starts with the content. Know Your Keywords: Every post must target one or more keywords. Before writing a content you need to have a keyword in mind. This is where Keyword Research comes in. Using tools like Ahrefs, you can find keywords relevant to your affiliate marketing niche. Target One Keyword at a time: Each article or piece of content should target one main keyword. You can add a few secondary keywords to help you capture clusters of long tail keywords related to your main keyword. Do not be aimless with your content creation. Every piece of content should have a clear purpose with a keyword as its unique identity. Use the Keyword in Important parts of the content: In the tip above I recommended that you target one main keyword. You may now be asking how. By using it in your content and adding it in all the right places. Your keyword should appear in the title, in the first paragraph, in the last paragraph, and in between. Do not however stuff your content with keywords as search engines are now smart enough to detect such gimmick. Also include in the alt-text of images. Use Hierarchy in your Content: Use headers and subheaders to show relationships between the different sections of your content. This makes your content easier for your visitors to read, which is positive for your affiliate marketing success. The happier they are with your content the more likely they are to stick around to view and hopefully click on your affiliate promotions. Headers are also great for search engines as it provides useful cues that helps search engine better understand what your content is all about. Do not forget to add your main keyword and secondary keywords in some of the headers. Using the tips above will go a long way to help you create content that are search engine ready. But, it might not be enough. All the tips given above are all part of what is called on-site SEO. However, on-site SEO is not usually enough for a beginner. This is where off-site SEO comes in. The most effective off-site SEO is link building. Link building is important because, the number, quality, and relevance of links pointing to any content is an important ranking factor used by Google. Once your content is on-site SEO compliant, a little link building will boost its position in the search ranking, which is all you need to succeed in affiliate marketing. Write content that people search all the time. This ensures that once you rank well in search engines you will be getting steady traffic from the content. And because old content keeps turning in visitors, your traffic is bound to grow as you add more relevant content. In contrast, newsy content requires you to push out loads of content, because news usually have short life cycles, most people are not interested in them after a couple of days. This means you have to keep churning out content everyday to get traffic. With evergreen content you can write once or twice a month and can still get loads of traffic if you handle your on-site and off-site SEO bit well. All types of content will not go well with affiliate marketing. For example news website and gossip blogs will struggle to succeed with affiliate marketing. This is because the content is not targeted and most visitors are simply there for the gist and to lash out on each other in the comment section. Evergreen content is the best strategy for building content for affiliate marketing on your website. With “How tos” you identify a problem in your niche and provide a detailed solution on how to solve it. To solve the problem, certain products and services may be required. Your job as an affiliate marketer is to identify the best products offered by your affiliate marketing partners for solving this problem and recommend them within the article. Tips are similar to How Tos and work in the same way. You give a couple of tips and then recommend a couple of products or services relevant for the tip to be successfully implemented. You can also write an article comparing two or more related products or services. In the article you highlight the pros and cons of each product. Of course, you add links of the products or services from your affiliate marketing partners. In a review, you write about a good quality product you recently used. You share the features of the product or service with your users. You also highlight what you like and hate about the product or service and include links to your affiliate marketing partners where interested visitors can buy the product or services. Because of a lack of targeted traffic it is difficult to succeed in affiliate marketing if all you have is a news or viral website. News websites usually have a diverse traffic making it difficult to target your audience. Another problem with news sites is the intent of their visitors. When people visit news sites their intention is to read the news not to buy a product. So, affiliate marketing promotion on a news site interrupts the natural flow of the visitors. News sites get more direct traffic as visitors usually come through the home page. Even when they come through search, they are using terms related to the brand of the viral website rather than searching for a specific product, service, or solution. This is why evergreen content works best. They are targeted at solving a particular problem. Hence the user already has an intent to solve the problem. So, if the product or service behind your affiliate marketing promotion will solve this problem for her, she will be more responsive. However, all hope is not lost for news websites. There are some strategies to increase conversion for a news website. Keep reading I will share that later in this article. Social Media is another effective way of promoting your affiliate products and services. 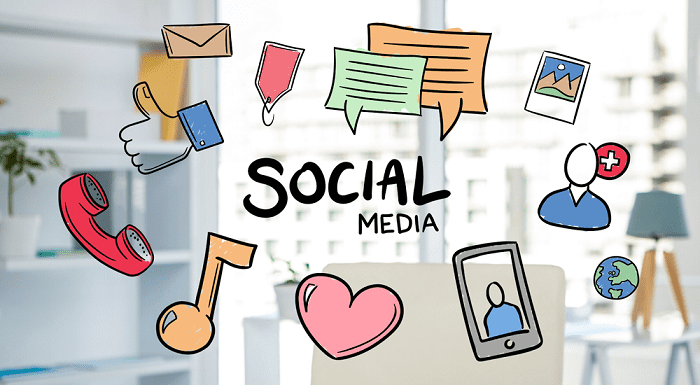 You probably already have some audience on social media, you can start from there. Like with building websites, having a Facebook page or group that is focused to a niche is likely to be more effective. However, if you are an influencer or a celebrity, you just simply need to promote products and services you genuinely like. As an influencer or celebrity your fans will respond to your recommendations simply because they like or trust you. Just make sure you genuinely like the product and it is of good quality or you will face backlash from your fans. It is also important that every post is not a promotion. Do not relent in publishing those interesting and engaging content that helped you build that audience in the first place or you may lose them. Facebook is the most popular social networking platform. It is one of the best platforms to do affiliate marketing. Just share relevant products and services of your affiliate partnerships with your friends and fans and a number of them could end up buying. However, Facebook has been locking down organic engagement over the last couple of years in their bid to boost advertising sales. This means that to get some traction with Facebook, you will probably need some advertising budget. Just make sure that the cost of sale does not exceed sales. A number of affiliate marketers are now turning to Facebook Groups to promote their affiliate links as organic engagement is still positive in Facebook Groups. However, how long Facebook’s romance with Groups will last is uncertain, making relying on Groups not a sustainable strategy. You do not need to have a lot of fans to market on Facebook. All you need is a Facebook page and you can have access to the social network’s 2.2 billion active monthly users. You can do a number of things with your Facebook Ad. You can point people directly to the landing page of your affiliate program. You could also point them to your website where you probably have a signup form for building the email list you need for your email marketing campaign. While Facebook has over 2.2 billion active users, not everyone of them will respond positively with your affiliate marketing and sales pitch. You need to use the tools provided by Facebook to target your Ads only to consumers who more likely to buy whatever it is you are selling. The problem with sharing your affiliate products and services on Instagram is that the photo-friendly social media platform does not allow you add links to your posts. In fact, the only link allowed on Instagram is the one on your profile. An effective strategy that many affiliate marketers use to promote their affiliate partnerships on Instagram is to put the affiliate link in their profile for the duration you will be running the campaign. That way, your visitors can click on the link on the profile. Since the link is added raw, it is good idea to use a URL shortening service like goo.gl to make the link more presentable. YouTube is the most popular search engine for videos. YouTube is also the largest social media platform for Videos. This dual nature makes YouTube a very effective source of traffic for affiliate marketing. The strategy used by affiliate marketers is to create a video guide, tip, how to, or review of the product or service you want to sell. Then in the description you add links to the product using your affiliate link. Do not forget to inform your viewers that you have included a link to the product or service for their convenience. This will lead to a higher click-through rate. Email marketing is another effective way to promote your affiliate partnerships. It is one that most gurus use. The first stage of email marketing is building an email list. This is a list of email addresses of leads and customers. If you are an existing business and already have email addresses of your customers on file, you can start with this list. The most effective way to build an email list is through an opt-in form on your website. The opt-in form is the entry point of your sales funnel. The logic behind the opt-in form is simple: offer your visitors something of value for free and ask them to enter their email address in the form so that you can send them the free offer. If what you are offering is of value most users will enter their email. The email you collect in this way becomes part of your email list that you can use to send promotional content. For email marketing to be effective in your affiliate marketing campaign, you need to segment your audience. This will enable you target the appropriate deals and offers to the right audience which will result in more sales. You can checkout a couple of email marketing providers like Aweber, that will help you automate your messaging. They can also help with tracking, personalisation, and segmentation. One way to succeed at affiliate marketing is to ensure that the promotions you are sharing is relevant to the content and your audience. Promoting shoes on a page about how to buy a shoe will have more conversion than on a page about how to buy a phone. Make sure the affiliate ads you are promoting match the content. Recommend only good quality products and services. Do not over sell a product or lie in order to get people to buy. Just present the facts in a compelling way. Deceiving your audience will lead to a breakdown in trust which is very bad for your affiliate marketing success. Being authentic will increase trust and help you build your reputation. Affiliate marketing programs usually offer links and banners to make it easy for you to start promoting their products and services. The problem with these promotional materials is they are usually pointing to the home page or a category page, which is usually too generic. For best results use deep link tool (offered by most good affiliate programs) to point to the exact product or service you want to promote. This is also in the spirit of the first tip (Be Contextual). The deep link tool will enable you convert any product link from the merchant website to an affiliate link. Do not focus too much on raw traffic. With Affiliate marketing the intent of the audience for engaging with the content matters. This is why a 100 visits from a targeted traffic source like search will usually outperform 1000 visits from a viral traffic source. Make sure your content is seen more by people who have a buying intention and you will be successful with affiliate marketing. Do not do your affiliate marketing blind. Find out the types of products people are responding to and offer more of the same. Most good affiliate networks will offer feedback on products being sold or at least the category. Sometimes, visitors may be looking for products on your website that you currently do not cover. Knowing about these content gaps opens new earning opportunities for you. Use tools like Google Analytics and Google Search Console to track content gaps and when you find them, build great content to satisfy your visitors. Newsy content have a short life span compared to evergreen content. To stand a chance while doing affiliate marketing on a viral website, you have to take advantage of the moment. News sites tend to get more views on their home page. So, highlight your best promotions on the home page. One way to succeed at affiliate marketing on your news or viral website is to focus on deals. Make the deal news. Lets say Amazon is offering a 50% discount on a certain camera. Rather than just plastering the banner all over your website, you could write a news article alerting your audience of this once in a life time offer to buy a good quality camera at a very cheap price. Of course, you will add an affiliate link to the product on Amazon to enable them easily secure the offer. This strategy will also work for pre-order and product launch announcement as well as highlighting best deals during seasons like Black Friday.